Interests: Tropical and Travel Medicine, Paediatrics, Women’s Health, Maternity Shared Care, Public Health, Indigenous Health. 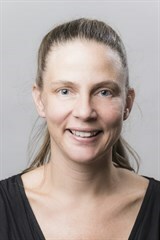 After graduating from Monash University in 1996, Cora worked in Queensland, The Royal Children’s, Royal Women’s and Victorian Eye and Ear Hospitals. She then worked for a year in the Northern Territory before joining Bluff Road Medical Centre in 2005. Cora obtained her Diploma of Obstetrics at the Royal Women’s Hospital in 2001, and has worked in pregnancy shared care at Sandringham Hospital since 2007. She completed her Masters of Public Health and Tropical Medicine at James Cook University in Townsville. This advanced training compliments her special interest in travel medicine.